The National Museum of American History Library in the Smithsonian Institute includes a Studebaker tribute in its Automotive Trade Literature Collection, "From Horses to Horsepower: Studebaker Helped Move a Nation. 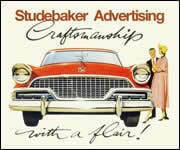 ""Studebaker Mileposts" from 1850 to 1960" includes many historic images from Studebaker advertising. Shown here are the 58 Golden Hawk and Silver Hawk. 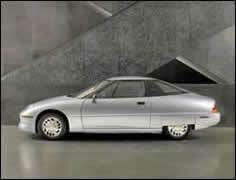 The museum also displayed a 72 Volkswagon Beetle and GM's electric car, the EV1. 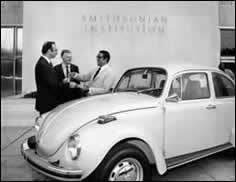 The keys to the Smithsonian's 1972 Beetle being handed over to representatives John H. White, Jr., and Don H. Berkebile by Tony Weaver, Community Relations Manager of Volkswagen of America. The Smithsonian's EV1, a first-generation 1997, with serial number 660, the last "Generation I" car produced. 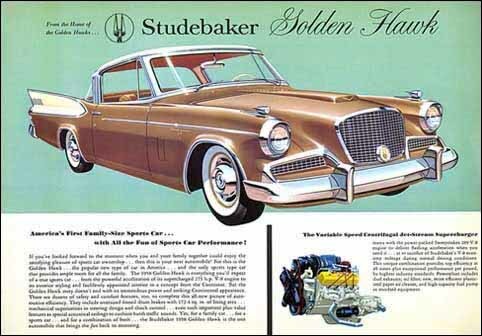 Studebaker Golden Hawk ad on display in the National Museum of American History Library in the Smithsonian Institute. 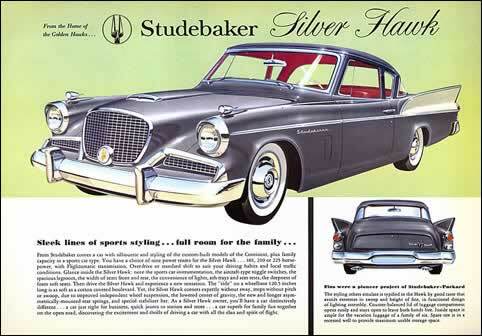 Studebaker Silver Hawk ad on display in the National Museum of American History Library in the Smithsonian Institute.